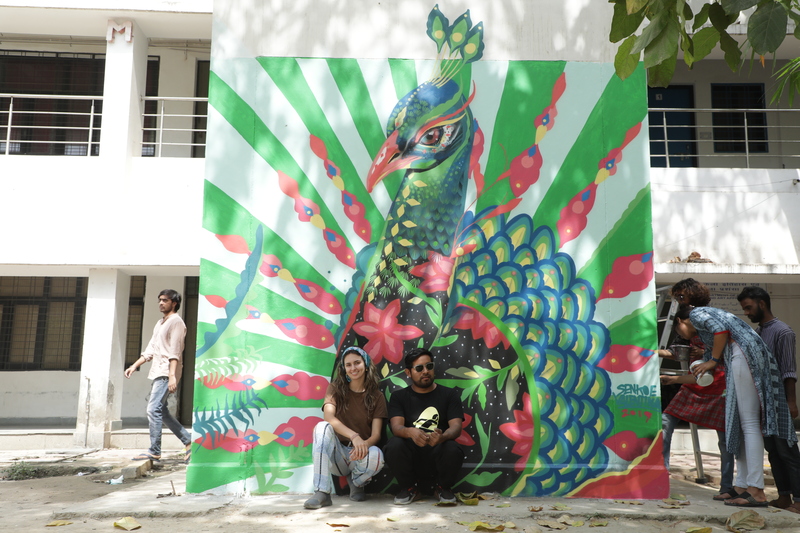 The campus of Jamia Milia Islamia University was painted in exotic colours when internationally acclaimed Mexican street artist Senkoe decided to put his artistic skills on display by making murals on walls in the campus. The Embassy of Mexico in India hosted this creative fiesta in collaboration with the Faculty of Fine Arts of the university. 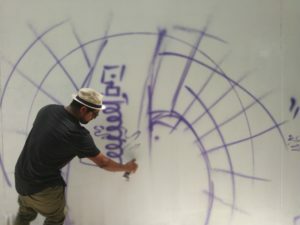 A day that kicked start with Senkoe talking about art and sharing innovative techniques of bringing walls to life via graffiti, proved to be an eclectic blend of cultures. 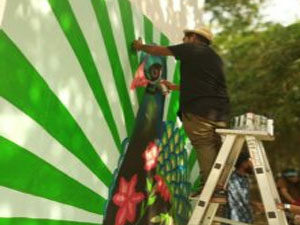 The event saw Senkoe, famed for his freestyle art, painting a peacock, which was an amalgamation of Indian and Mexican cultures and art forms. The artist painted the torso of India’s national bird in traditional Mexican designs. “Senko incorporates the essence of every place he visits in his art-work,”said Santiago Ruy Sanchez, Head of Culture and Tourism Affairs, Embassy of Mexico in India. Senkoe believes art should not be restricted to galleries and museums, the world needs more of it, and the streets serve as the perfect way of introducing that in the common man’s lives. “I always wondered how the spraying of canned paints used in graffiti appears so smooth in YouTube videos. To watch this today live was an overwhelming experience. I now know the secret lies in the nozzle of the can!”, commented Sandeep, another student. Having done a number of projects in India including the makeover of the walls of Lodhi Colony, a neighbourhood in Delhi and at a school for the underprivileged in Chennai, Senkoe shared, “I have been to a number of countries for various projects, but it is with Indian culture that I am able to feel a deep connection with.” This was Senkoe’s third visit to India and he plans to come back for more such projects. Delhi Comic Arts Festival: an out of the box artistic platform!